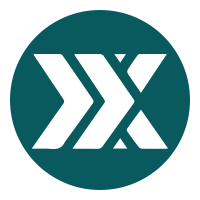 Poloniex is a US-based exchange platform that offers high-volume margin trading for major cryptocurrencies. The exchange site supports over 70 popular digital assets, with price performance shown in detailed charts. Traders can also use Poloniex’s data analysis tools to aid their decision-making. Poloniex is considered to be one of the greatest crypto exchanges of all time, based on trading volume and user base. It displays a diverse set of functions and services. The site provides quality liquidity for the marjority of altcoins, which users can trade against Bitcoin. Introduced in 2014, the platform has produced itself as a top trading site in the industry. Cryptocurrency users around the globe are confident now that Poloniex is here to answer their desires. The company is based in San Francisco, California. Its services focus on the United States market. Meanwhile, users from other continents are welcome to trade on the site as well. Making an account on the site is easy and simple. Even beginners can complete the registration process in a few minutes. Simply provide all the information asked and verify your account via e-mail and by providing identification. Once your account is in the clear, you can make a deposit and start trading right away. There are three main order types on Poloniex: buy, sell, and stop limit. These orders are ready for all currency pairs. Poloniex uses a standard maker-taker scheme. This encourages market liquidity by rewarding the makers. It also affects market spread in a good way since it urges the makers to outbid one another. Since the site is one of the most diverse exchange platforms in the world, it is important for the site to make best use of this model. For an updated list of the fees, make sure to check out the calculations on the site. The fees calculation reflects the last 30 days of trading volume. This adjusts automatically according to the volume. Poloniex does not support fiat currencies. It focuses on Bitcoin and altcoins exclusively. You can only fund your accounts using Bitcoin or other altcoins only. 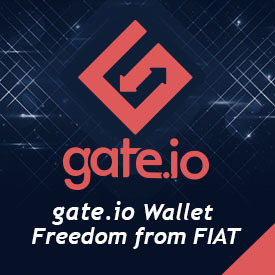 While you do not have the option to deposit in fiat, you have plenty of digital payment choices. The list includes Bitcoin, Litecoin, Ethereum, and Monero. In addition to that, there are 80 other crypto coins available for trading. On the other hand, the same goes for withdrawals. You can get your profits back by using your initial method of payment. The site employs a two-factor authentication. This goes for both login and withdrawals. You also have to verify all withdrawals via e-mail. The exchange holds the majority of customer funds in a cold storage and a 24/7-guarded platform. The site is best used on your web browsers. Although it does not have a dedicated application you can use on your mobile phones, it is compatible with mobile browsers. The website looks good on both desktop and mobile devices. You can contact the support team via e-mail, ticket, and directly from troll box. Get fast and prompt replies by asking the representatives directly in troll box. Even though support isn’t Poloniex’s cup of tea, it helps that the site can cater to your queries and suggestions as fast as they can. Poloniex is an excellent exchange for those who want to trade bitcoins and altcoins. It shows professionalism and all the tools you need. It is best if you want to make the most of profit-making opportunities surrounding the virtual currency market.